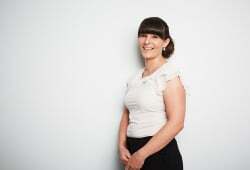 Melanie joined JSA Group in 2008 and is a member of the Client Administration Team. She takes pride in providing her clients with consistent, accurate and efficient service to ensure Adviser strategies are implemented correctly. Stemming from her Advanced Diploma of Hospitality Management, Melanie also has an active interest in strengthening the JSA brand through business development. Day to day, Melanie assists the Adviser team with the processing and maintenance of client files, setting client appointments, preparing for client reviews, updating investment portfolio valuations, updating the client database, lodging new investment/ insurance applications and ensuring that clients receive the best possible service from JSA. Outside work, Melanie loves to spend time with her husband and two children, as well as visiting skiing destinations around the world.